Think fast and book your summer stay now. Get 30% off and explore one of our 130 destinations in 6 countries. Get a 4-day head start for members to find the best rooms at 30% off. Stay between 21 June - 18 August. Book no later than 12 May and use booking code SUMMER. Not a member yet? 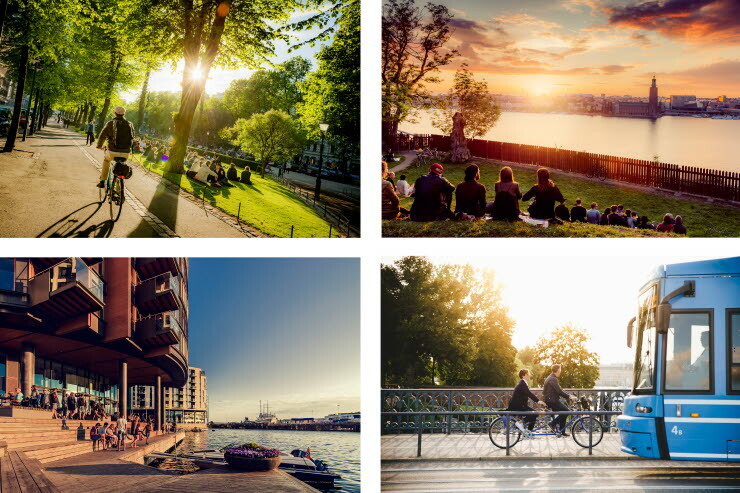 Not a problem – sign up for Scandic Friends here, at no cost of course! Book online and use booking code SUMMER. Book latest 12 May 2019. Summer in the Nordics has a nice ring to it! Nature has been colored green, people are enjoying the everlasting light and hanging out in the parks. Sit down at an open-air cafe by the water and enjoy the fresh air, or just stroll around in a new city. Let yourself get swept away by the atmosphere of a Nordic summer! All the Nordic destinations have something unique that makes them worth a visit. Feel the sea breeze in coastal cities such as Stockholm and Malmo in Sweden or Fredrikshamn and Copenhagen in Denmark. Explore the deep forests and beautiful lakes in Finland or "Gå på tur" – go hiking – a very Norwegian activity and a great way to experience the country’s stunning nature. If you want to discover Germany, Hamburg and Berlin are great places to start. The summer there offers plenty to do – culture, food, shopping and so much more. Book period for this offer: 25 April 2019-12 May 2019. For members exclusively 25-28 April. Stay period: 21 June 2019-18 August 2019 (all days). The offer is valid at Scandic Hotels in Sweden, Norway, Denmark, Finland, Germany, and Poland. Exception: Our signature hotels Haymarket by Scandic 25% off and Grand Hotel Oslo by Scandic 15% off. The offer can only be booked online, on Scandic’s own site. The prices are per double room and night and subject to availability and to a limited number of rooms. Reservations are non-refundable and cannot be changed or canceled. The offer cannot be combined with other offers or discounts. Your credit/debit card will be charged at the time of booking. Breakfast is included. VAT is included.